How to find the right Reiki Master/Teacher? By Gil Dekel (PhD, MA) Reiki Master/Teacher. I will share how I found the perfect teachers… teachers who trained me and also supported me along the way (I am trained at Teacher/Master level). I will explain what to look for when searching for a teacher, and I will talk a bit about the 3 levels in Reiki. First thing, you need to decide what are you looking for? Are you looking for a treatment, or do you want to take a class and train in Reiki? If you are looking for a treatment then best thing is to find someone who had a session and ask them about the experience. If you are after a Reiki Teacher to train you in a Reiki class, then there are a few more things to consider. Feeling this inner impulse, I asked my mother how to find a Reiki Teacher to train me. She suggested that a teacher should be able to give at least four initiations, two of which are in the Western style and the other two in the original Japanese Eastern style. The Western style initiation is called ‘Attunement’. The Japanese style initiation is called ‘Reiju Empowerment’. Today I teach Reiki with my wife, and we give four initiations: two in the Western style and two in the Eastern style. I personally prefer the Eastern Reiju style – which is simple, elegant, and closer to the original teachings of Usui. A Reiki Master/Teacher should have a ‘spiritual lineage’, following a trail of Reiki teachers back to the originator of Reiki, Mikao Usui. The ‘lineage’ is a list with the names of the Reiki teachers. Sometimes a teacher may have been attuned by two, or more teachers (as you can see in the lineage below). When you will be initiated, you will also become part of your teacher’s Reiki ‘family’. Reiki lessons come with manuals. Today, you can find the manuals online. Back in 2002 when I started my training, this was unheard of. I treated the manuals and symbols as something you will access only when you take a training course with a teacher. Things have changed since, and personally I do not have a problem with the manuals being posted online. I myself give Reiki 1 manual PDF for free, and selling the other manuals online. I am surprised to find Reiki students who tell me that they never received any manual from their teacher. Students are missing out on many energy techniques that are listed in the manuals. On the day of the course you do not need the manual. You do not need to take notes either. Everything you learn should be in the manual, which you take home with you. The manual helps to remind you what you learned in the class, and provides instructions for energy exercises. It also contains Reiki history. Since Reiki manuals are posted online these days, many people read them and assume that with that they are now trained in Reiki… I need to stress that reading the manuals will not train you in Reiki. To complete training you must receive the initiations (attunements) from a Reiki Teacher. The initiations open up your chakras, and allow for energy to flow. They also create a sacred space between you, your teacher, and the Universe. There are a few ways to do training and receive the initiations. You can take face-to-face course where you meet your teacher in a class, or you may take online course. There are also self-taught courses, where you receive guides and videos for you to follow by yourself at home. The initiation process is then done online, where you ‘meet’ your teacher via Skype. What matters is that you create a truthful link with a teacher. I am teaching Reiki online, and with the advance of Skype and web-cameras it feels as if I am in the same room with the students… This works well for my students. I also teach in classes, face-to-face. You want to double check before you commit to an online course, because some online courses do not offer a session with a teacher. You will not meet a teacher in these self-taught courses, rather the attunement process is recorded on a video, for you to watch and be attuned. This can still work fine, if you have support from the teacher that is featured in the videos, and if you create good energetic link with them. Simply see how it feels before you buy the course. To me, it is important that Reiki does not become a sterile and detached product that lacks a human connection between the student, the teacher, and the energy. It is ok to deliver self-study lessons (via manuals you read by yourself and initiation videos you watch) – as long as you establish a truthful link with your teacher. You must ‘feel’ them, and they must ‘feel’ you, in order to create the space for Reiki. In Reiki teaching we do talk about distant healing. This means that you do not have to be right next to your teacher to ‘get’ the energy and the initiations. The energy can indeed work at a distance. I have read a bit about Quantum Physics which describe something similar from scientific point of view. Distant Reiki is very powerful and works well if the teacher has good intentions. However, too many pre-recorded videos do not establish any link between you and the ‘teacher’, and still they argue that you are initiated to Reiki after watching a 20 minutes video… The distant element in such videos does not really work. I meet students via Skype, and attune them with the student in my mind and heart. I will give them initiation + whatever I am ‘told’ to by their own individual higher-self (spirit guides). There is no ‘blanket’ process which we can record in one video and dispatch like fast-food commodity. In 2002 when I did my online search for a teacher, I found few in The UK. I could see where they were trained, their certificates, the agenda of the lessons, and what initiations they offered. This was good starting point in my career. So, when you look up online for your teacher, try to ‘study’ them as much as you can. Reiki lessons usually last over two-days in a weekend. Sometimes, a student is ready for one day course instead of the two days. This is fine. Online courses can be spread across a few days, each day a 2-3 hour session. – Reiki Master/Teacher (can practice on Master level and can also teach students). Personally, I do not see the logic in studying for Master level, and taking only the practitioner side of it. If you are ready for the Master level, then you better off completing the Teacher bit as well. You do not have to teach Reiki, but why not learn it? When we teach level 3, we teach the Master and the Teacher training. Level 3 is meant to be mastery of tools, allowing you to heal and also to pass on the healing tools, i.e. to teach others, if you wanted to. The whole point of Reiki is to evolve unto the energy. The certificates themselves do not give you much… What matters is the ‘certificates’ you receive from your angels; and these ‘certificates’ are not printed on paper but on your heart. You can feel it as you practice Reiki. It may well be that some students are well advanced, and that their awareness is beyond Reiki 1, even if they did not study Reiki 1 yet. We would personally lay that clear to the student, and would probably tech them level 1 and add some parts from level 2. 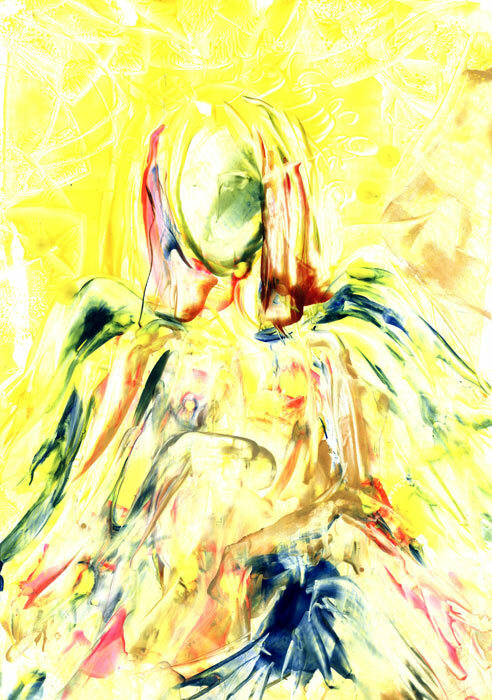 Angel YofiEl – art by Reiki Master Natalie Dekel. After I completed levels 1 and 2 with her, I was ready to continue to level 3. My teacher did not teach level 3 before, and said that it would take her too long to compile the manual (I know exactly what she meant, as I was working over a year to write my level 3 manual...) She suggested I approach another teacher she had in mind. After contacting him, I knew he was the right one. It is perfectly ok if you move from one teacher to another, but your new teacher should ask you about the ‘previous’ one. They need to know that you completed the other levels properly, before they teach you the next level. It is common for your new teacher to want to run through the previous levels again. For example, if you move to a new teacher for level 2 training, they might want to run through level 1 with you again. This could be part of your level 2 course, or in some cases they may suggest you take level 1 again with them, especially if you have taken level 1 way back. It is good to refresh your memory anyway, and also to ‘align’ yourself with the new Teacher’s energy. When you meet your Teacher they will advise you about this in advance. In all, when you choose a teacher, you want them to continue to support you after the lessons are completed. In truth, your evolution never ends; certainly it does not end once the class finishes (on the contrary, it just begins then…) It is also true that Reiki energy did not ‘start’ with Usui, rather it existed before him. Usui was a student of many forms of healings which he combined into his method. During his life time, his method was not even called ‘Reiki’. The name came later. The energy is all-time encompassing, past-present-future; it lives in the Now. We all tap into it as we tap into the Now moment. There is homework you need to complete after the lessons, and you will need to practice on yourself and on other people. Sometimes you will not know of any other Reiki students around for your homework practice. Your teacher could connect you with other students, or you may do the practice on your teacher. So, once the lesson finishes, you still want to stay in touch with your teacher. You will experience many changes and emotional energies coming through you. Students report on their senses being sharpened and receiving messages, images, insights, or issues that need to be dealt with. You really need your teacher to be there for you, in case you need support and advice. Manual – you need to receive one. It is ok if your teacher did not write the manual themselves, and is using another teacher’s manual. Lineage – your teacher can show you their lineage. Online course – ok, if you get support from the teacher. Distant lessons (you do not meet and do not see your teacher) – ok, but not ideal. You need support from the teacher and need to ‘feel’ them. Moving teachers – it is ok to be trained by few teachers. Your new teacher will want to ask you about your previous training. Homework – your teacher will give you practical exercises for homework after the lessons. Certificate – you should receive one after completing each level (once you completed your homework). Level 3 divided to two courses – do you really want to take only the ‘master’ without the ‘teacher’ part? I suggest taking both – the complete level 3 as one course, i.e. Reiki Master/Teacher course. 26 Sep 2015. Update 21 Nov 2018.